Beautiful 3 bedroom 2 bath brick home on one level with attached double garage and corner lot! Popular split bedroom floor plan. Open living, great room with gas log fireplace, breakfast room and dining room, lovely hardwood floors. Low maintenance home with full brick exterior. 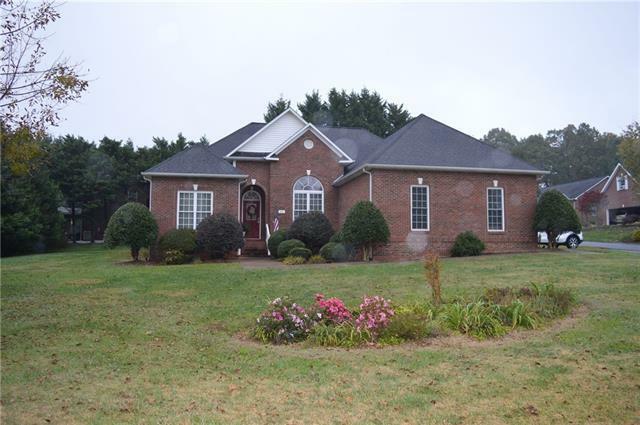 Desirable Brentwood subdivision convenient to shopping and dining as well as 1-40 and NC Hwy 16. Don't miss this one! Offered by Jordan & Company, Llc. Copyright 2019 Carolina Multiple Listing Services. All rights reserved.